The world’s population is expected to reach the magic number of 7 billion today. Trick or treat! Federal government debt in the United States is expected to reach 100% of the country’s GDP today. Trick or treat! Meanwhile, an almost unheard of October Nor’easter dumped over 30 inches of snow in some places in New England, leaving millions without power, thousands stranded in grounded airplanes or stuck trains, and a few people dead. Trick or treat! Does Facebook still hate me? Once again I am noticing that Facebook fails to pick up my blog entries. If I reset the link, it collects all recent posts (and displays the last one twice, for some reason, on my “Wall”) but then it stops collecting them again. Weird. Of course it’s probably nothing personal, just an uncorrected bug in Facebook’s RSS harvesting code. I’ve been using WordPress for this blog for the last several years. Lately, I noticed a problem: every new post I add appears in the “Uncategorized” post category, and it is impossible to remove a post from a category. My WordPress database is called ‘vttoth’; for a WordPress database that uses a different name, the above instructions must be altered accordingly. Years ago, I expressed my (informed, I hope) skepticism concerning climate change in the form of several questions. One of these questions has been answered in a very resounding way by a most thorough independent analysis: yes, the warming trend is real and statistically significant. √ Is global warming real? • Is it a future trend? • Is it man-made (caused by CO2 emissions)? • Is it bad for us? The fundamental dilemma is that on the one hand, it seems irresponsible to advocate the spending of trillions of dollars (and potentially wrecking an already fragile global economy) before all these questions are answered. On the other hand, by the time we have all the answers, it may be too late to act. But then, perhaps none of it matters. I do not believe that harebrained schemes like carbon trading are ever going to work. Humanity will continue to burn fossil fuels in ever increasing quantities in the foreseeable future, and atmospheric CO2 will inevitably increase. Ultimately, we may be faced with choices such as geoengineering or simple adaptation: moving from coastal lands to higher ground, evacuating areas that become unsurvivable in the summer, but also taking advantage of longer growing seasons or more fertile areas in the north. Courtesy of IEEE Spectrum, we can read an English translation of the now vanished blog of a Japanese robot operator working at Fukushima. I’m reinstalling Windows 7 on my main computer. I am doing an Upgrade (upgrading Windows 7 with itself) to avoid having to reinstall everything else. This is kind of a last resort solution, to deal with a problem that defeated all my previous attempts to fix, including some machine code level debugging. I hope the reinstall will do the trick. I’ll know in a few hours. Does Facebook hate my blog? Recently, Facebook stopped importing entries from my blog again. I can set up the import, Facebook imports all fresh entries (and for some reason, shows the most recent one in duplicate) but then it never imports anything again. I don’t think it’s anything wrong on my end, but it sure is annoying. 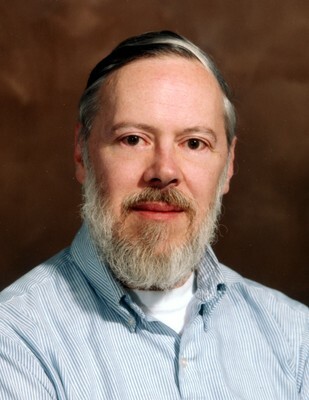 While the world mourns Steve Jobs, another computing pioneer, Dennis Ritchie, died. Our world wouldn’t be the same without UNIX or the C programming language. My own life would have been very different without him. Jobs will long be forgotten when Ritchie’s legacy will still live on, decades from now. Does the future belong to Skynet? Yesterday, I watched Terminator Salvation, the latest movie in the Terminator franchise. Today, I am reading in the news about an attempt to reconstruct visual images from MRI brain scans. I am also reading about US military drones hacked by a virus of unknown origin and purpose. All of which makes me wonder just how close we are actually to the kind of dystopian future depicted by the Terminator movies. 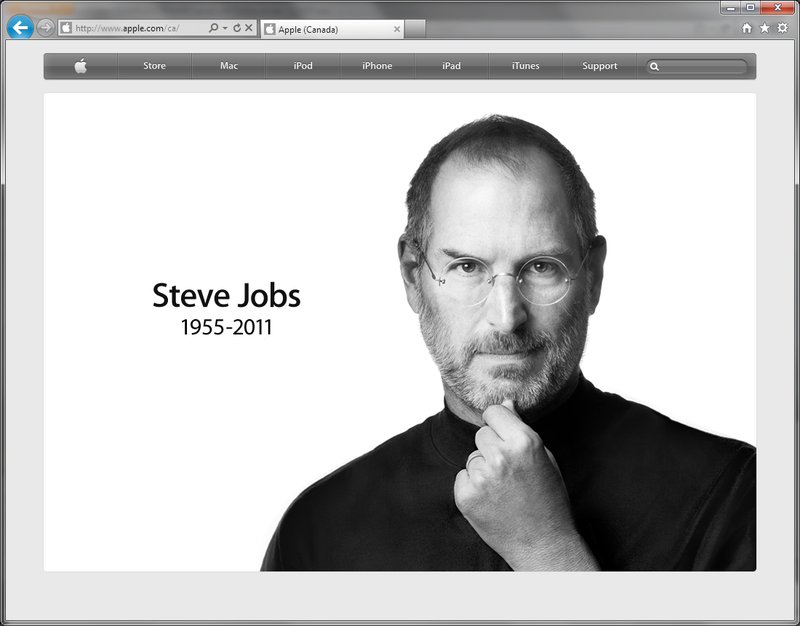 Steve Jobs, R. I. P.
And he was only 56. I was never much of an Apple fan, but Jobs was undeniably a towering giant of the personal computer era. Once again, our beloved conservative government is trying to turn me into a criminal for simply copying all my (legally purchased) Blu-Ray and DVD movies to a hard drive for convenience. In fact, the proposed law very specifically makes it clear that reproduction for private purposes is legal only if “the individual, in order to make the reproduction, did not circumvent, as defined in section 41, a technological protection measure, as defined in that section, or cause one to be circumvented”. Looks like I will be a lawbreaker. Or worse, I am a radical extremist, according to our beloved government’s heritage minister. Meanwhile, the score is Disney: 1, people of Canada: 0, courtesy of the Conservative Party. Message to Stephen Harper: let me know when you came back to your senses so that I can vote conservative again.